WINNIPEG, MB – Half Pints Brewery is getting set to release a new seasonal beer next month. 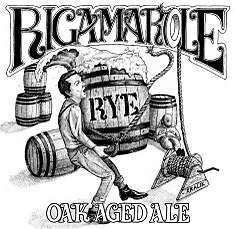 Rigamarole Rye is a rye-based beer that has been aging in oak barrels for several months. It will be release on August 7th at 9:00 AM with a launch party at the brewery, similar to the events held to launch previous limited edition beers such as Sellout Stout and Black IPA. In other news, David Ridge of Half Pints tells the Winnipeg Free Press that the brewery a pair of 40-barrel tanks, increasing their capacity for the second time in two years. The brewery can now produce 8,000 hectolitres a year, a more than five-fold increase from the of 1,500 hectolitre capacity the brewery had at opening four years ago.